Blue Buddha Boutique’s Chicago shop is honored to have been named Best Intimidating Jewelry in the annual Chicago Reader Best Of 2015 edition! For more info on our shop, see our B3 Retail Shop page. The piece shown in the image is Poseidon’s Embrace by Blue Buddha Boutique owner and founder Rebeca Mojica. 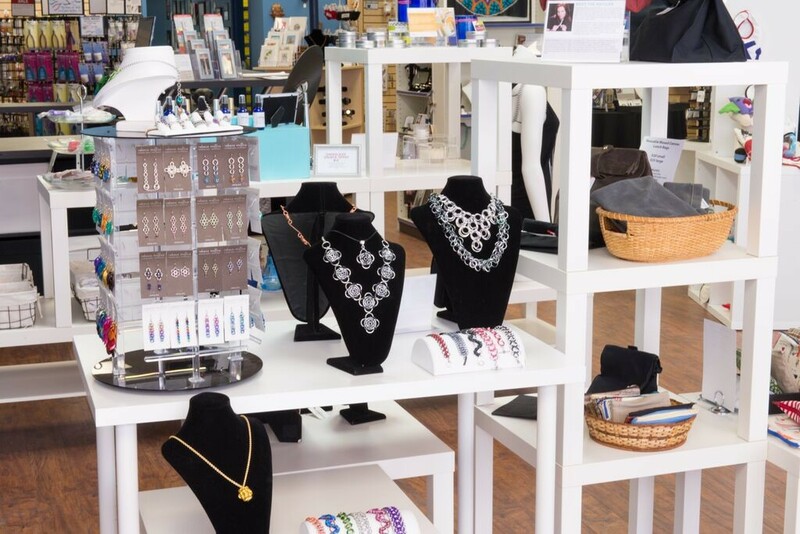 In addition to Rebeca’s jewelry, our Artisan Market carries the work of more than 50 local makers and designers – you can see lots of photos on our Blue Buddha shop page on Facebook, or on our Yelp listing. Jewelry prices start at $10 and go into the thousands of dollars, with something for everyone. TARDIS pendants? Check. Chainmaille dress? Check. Rubbermaille bikini? Yep, we’ve got one of those too. Stop on by and see for yourself! And if you’re interested in making your own intimidating (or not-so-intimidating) jewelry, be sure to look at our upcoming chainmaille classes. 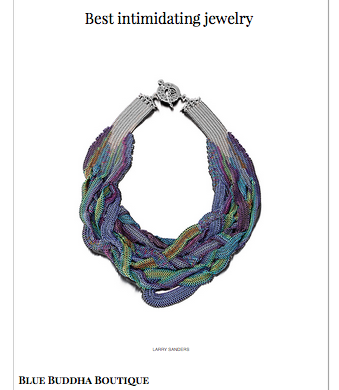 1 Comment on "Best Intimidating Jewelry – Chicago Reader Best Of 2015"
That is one stunning necklace.